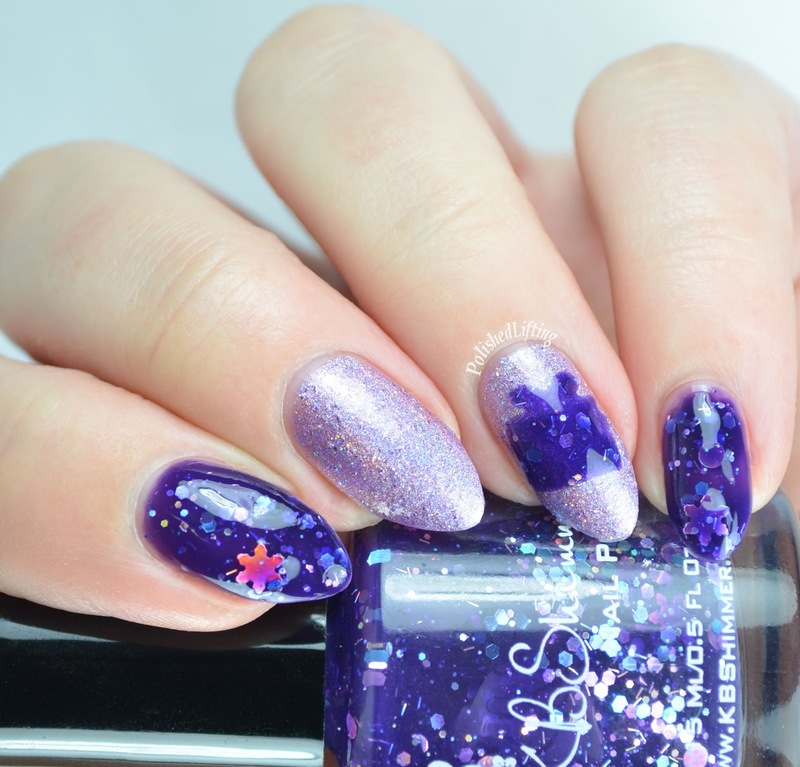 I have a lot of things going through my head right now, but I want to share my New Years Eve nail art with you first. I probably wouldn't have bothered with a NYE mani, but the @clairestelle8challenge on Instagram called for it. I kind of like it, but I wish the fireworks would have turned out differently. I started with a base of Darling Diva Polish Forced Family Fun. 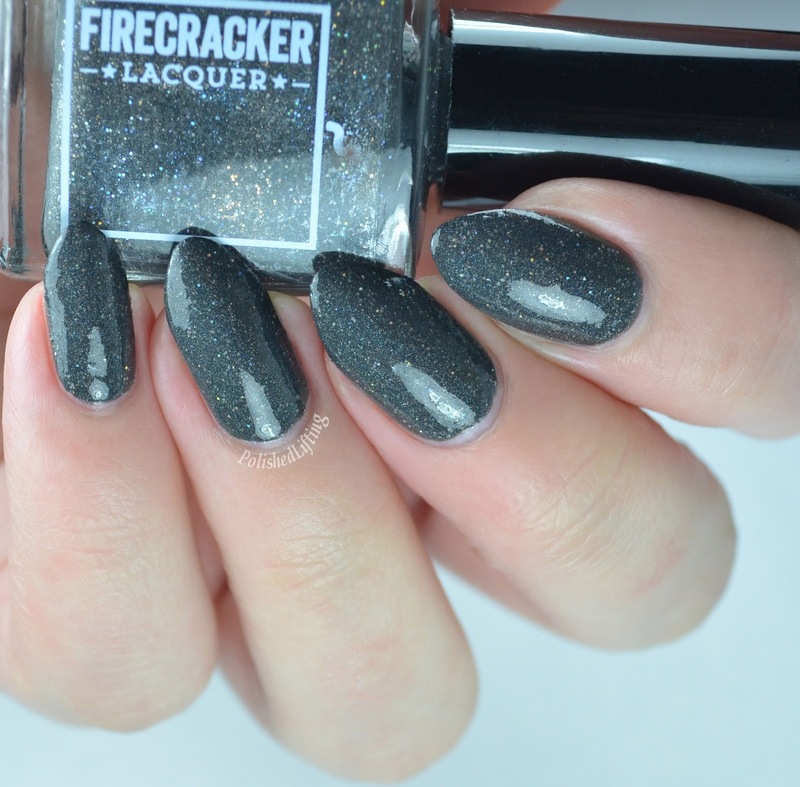 I applied a matte top coat to the middle two fingers, and Firecracker Lacquer Drop the Ball on the other two. From there I painted on white in a gestural fashion. 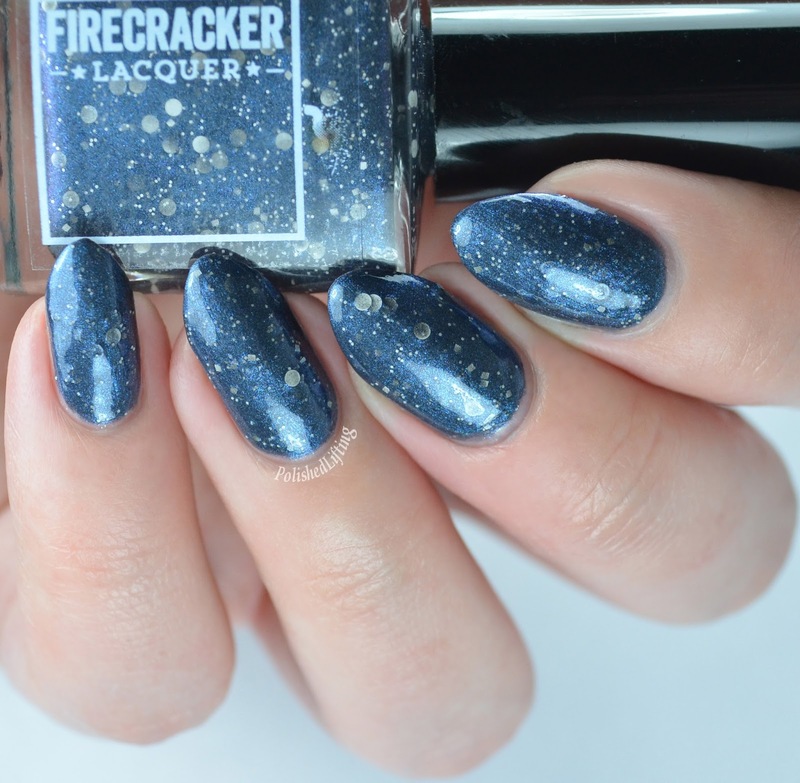 Once that was dry I used the remaining Firecracker Lacquer colors to create fireworks. So much has happened over the last year that it would be difficult to sum it up properly. 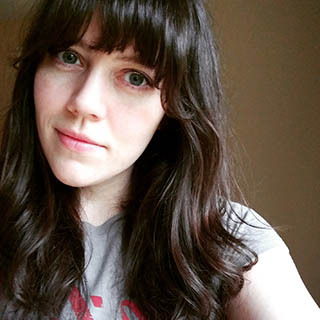 Do I divulge personal info, or should I keep it strictly blog related? Let's start off by reading "The Bully" on Polished Pathology. My situation was much more private than Jenne's, but I was bullied by that same person. The Bully and I were friends at one point. I hate to admit that, but it was true. The turning point happened when she berated me for contacting an indie maker to resolve minor issues. In so many words she told me that I was being disloyal to my readers because I wouldn't put said maker on blast. As someone with a customer service background, I wanted to give that maker every opportunity to make things right before I spoke with you guys. This is someone's business, and quite possibly their only source of income. Who am I to ruin their business over a simple mistake. To sum up the damage The Bully created would be to neglect the broad scope of what happened. I am only going to do it for the sake of brevity. I lost friends, missed swatch opportunities, and was not allowed into Facebook groups this person managed. With the exception of the loss of friends, the rest sounds petty and small. Oh boo, poor Courtney couldn't get into Facebook groups. Normally it wouldn't be an issue, but in this case we are talking about 8+ groups for indie makers I truly loved purchasing from and working with. Suddenly my hobby became work because I was trying to defend myself as a good person. It was extremely tiresome, and not something I ever want to deal with again. Not all of my experience in the polish world has been negative. I want to make that entirely clear before I move on to my personal life. I met some wonderful friends in person (finally!) and got to spend time getting to know them more. I am extremely grateful for all of the friendships that have been created thanks to blogging, and the nail world. Remember how I got engaged back in May 2014? We took a quiet trip to the courthouse that November. The idea was to legally get married, and then have a ceremony with friends and family later. After doing extensive research and attempting to plan a small wedding, it never panned out. Weddings are expensive (on average $26,444 according to Google), and not something we were willing to shell out at the time. After three months of planning a budget wedding, I finally realized that my heart wasn't in it. I wanted to have a nice wedding like everyone else, but the thought of draining our bank accounts for one day gave me anxiety. At that point we had been legally married for three months and absolutely nobody knew about it. I had to make the dreaded phone calls to both parents to let them know that I had tied the knot. That phone call was met with anger from one parent and some minor disappointment from the other. It was supposed to be a happy time, but it definitely took an emotional toll if I'm being completely honest. Despite everything, I'm happy with our decision, but I still wish it could have gone differently. Aside from post-wedding drama this year has been decent. I've done a great deal of hiking, went on my first vacation of my adult life, and managed to rehab my weightlifting injury. Polish- I want to focus less on basic swatches, and more on composition. I love swatching, but I want to challenge myself to do more. Weightlifting- I want to continue my weightlifting rehab, and build on the strength I've regained. In the past I've set actual weightlifting goals ie: I want to deadlift "x". This year it's simply going to be about doing more. It doesn't matter if it's one more rep, or 5 more pounds. As long as I'm making healthy progress, I'm happy. Mobility- This played a huge roll in why I was injured in the first place. I am going to spend more time stretching, and working on myofascial release. Knitting- I'm going to learn how to use dpns or a magic circle this year. I'm sick of putting off great projects because I fear the circle. Friends & Family- I want to spend more, uninterrupted time with the people I care about. I'm going to put my phone down and separate family time from screen time. I may pull my phone out for a photo or two, but I want it to stop interfering with the things that matter the most. I wanted to reflect on the manis that I really enjoyed this year. 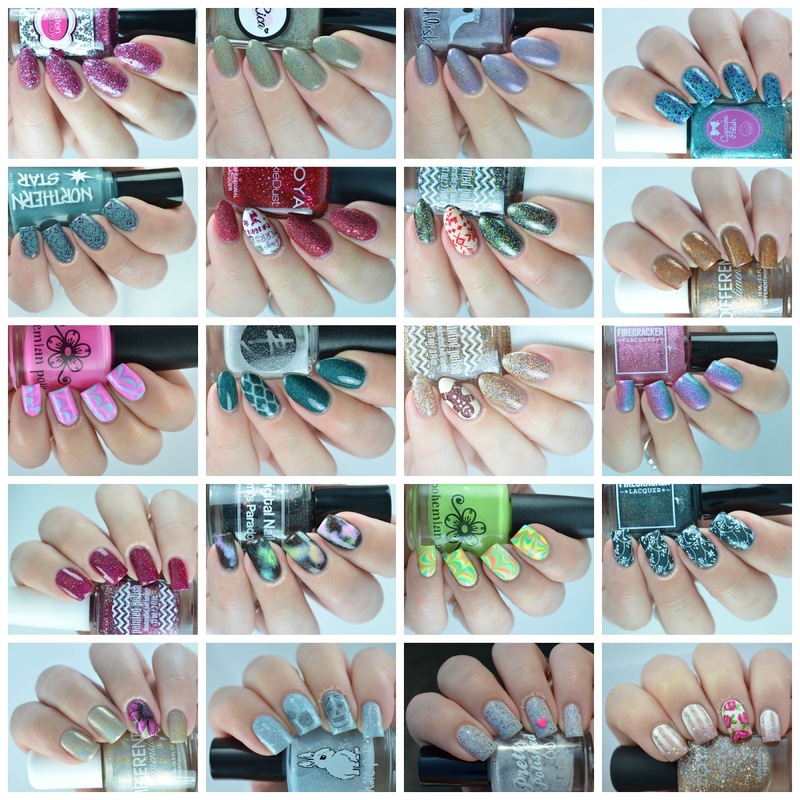 As you can see, most of them are nail art based, but a few are simple swatches. 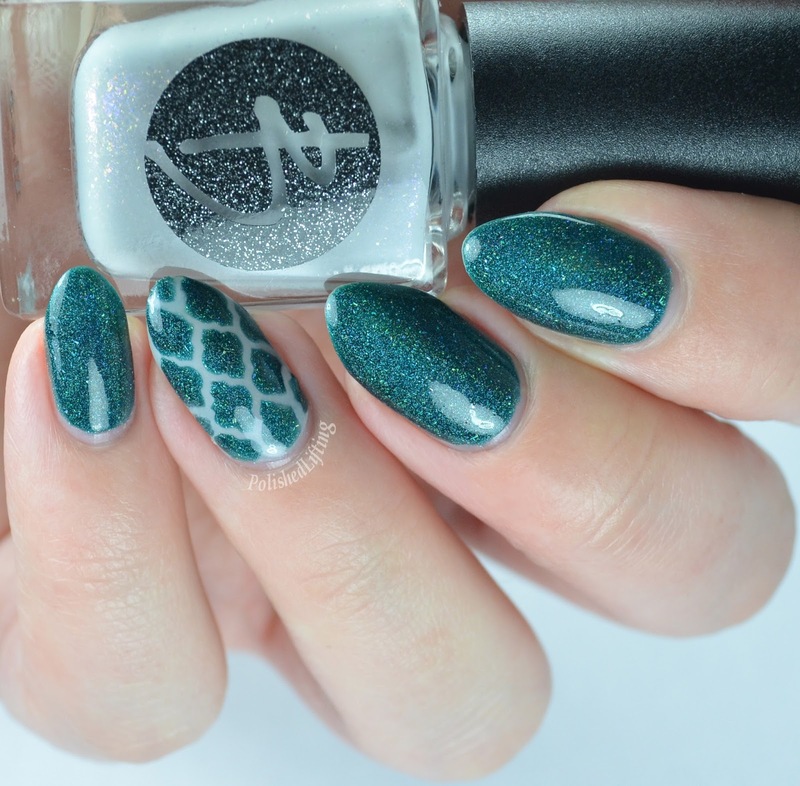 I know I said I wanted to do more nail art next year, but your input is important to me. What would you like to see from me in 2016? Leave me a comment, and I will do my very best to accommodate it. Lastly, I want to thank all of you who read and comment. This blog wouldn't have been nearly as fun without you guys! 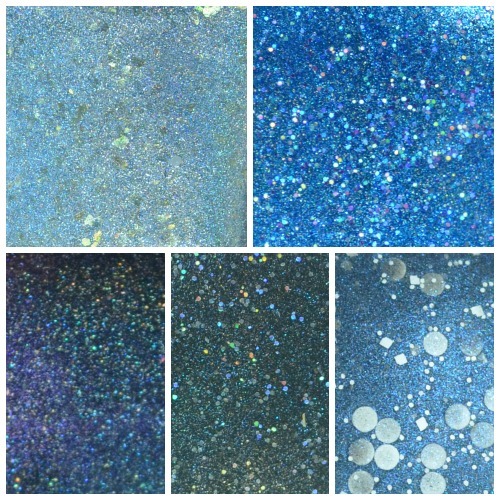 My Darling Curios has a super fun Winter Holo collection to bring out out of those winter blues. It may not be typical of the season's trends, but it's exactly what I needed. Notes: I am not usually a pink person, but punchy shades like this one make me change my mind occasionally. 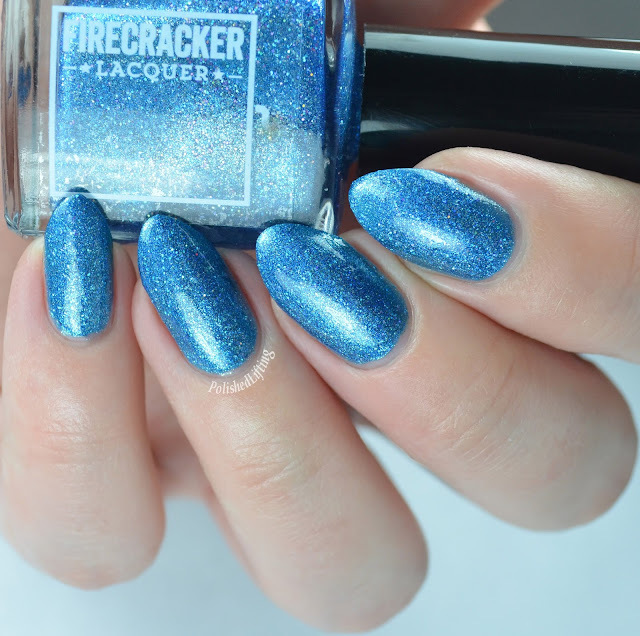 Notes: I experienced a tiny bit of drag with this color if I didn't wait long enough between coats. Notes: This color is so freaking bright it's unbelievable. I love the squishy appearance the layers give. Notes: This is just as squishy and delightful as Evergreen. Notes: This is a nice twist on the classic red. 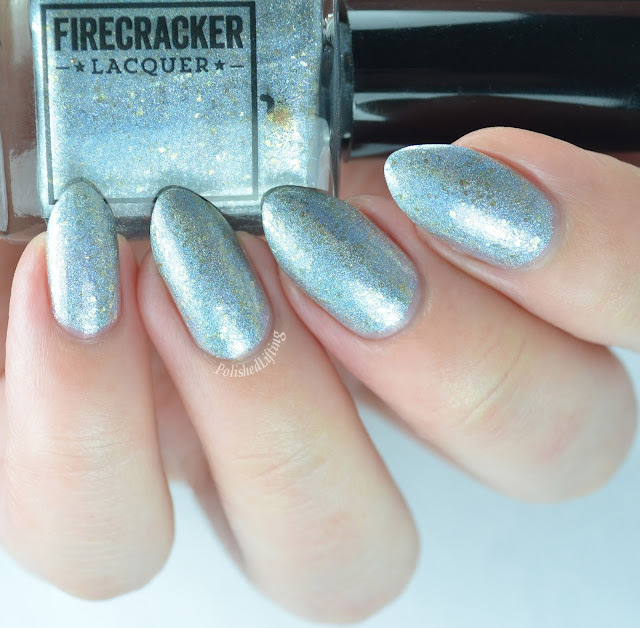 The Winter Holo collection is currently available online for $17/set. Keep an eye on My Darling Curios' Instagram page for upcoming releases. 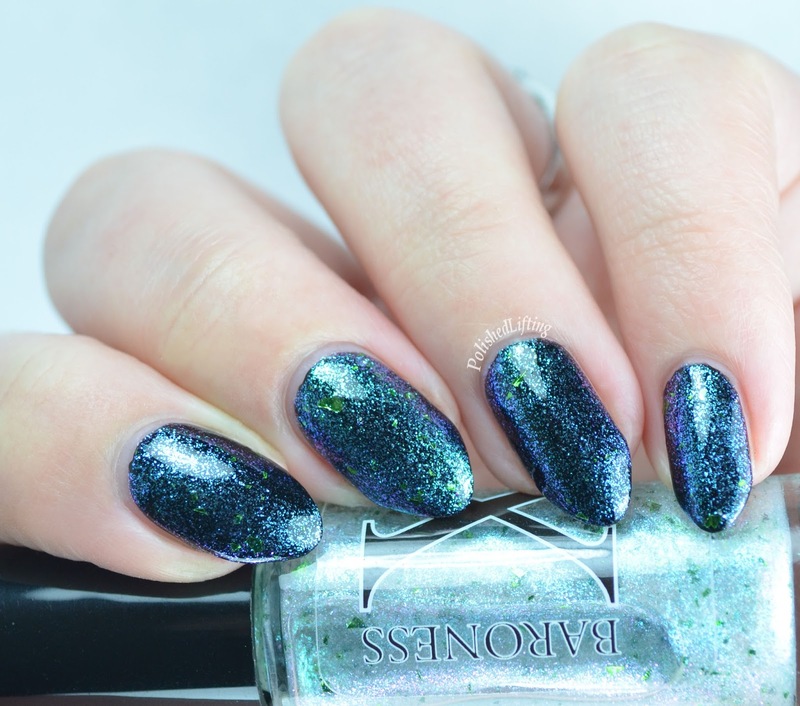 I swatched Rica Polish Gnomes and Zombies like five hundred years ago. Actually, it was more like near Halloween. I kept trying to get these photos out to you guys, but my schedule just wasn't allowing for personal swatches at the time. Rica Polish was brand new to me when I purchased this. I had heard of the brand, but never really investigated it until I saw swatches for October's GNOME box. I'm so happy I took the plunge to get this because I absolutely adore this color! Notes: This was one of the more unique colors I saw around this last October. It was such a gorgeous shade that I knew I had to have it. 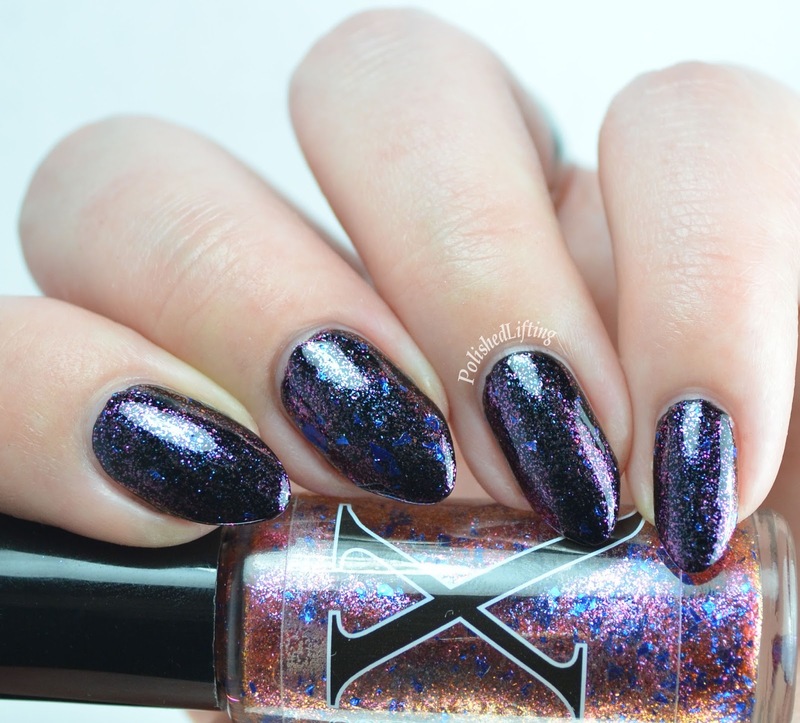 Gnomes and Zombies was part of the October GNOME box by Rica Polish and Stardust Polish. This color was limited edition, and no longer available. 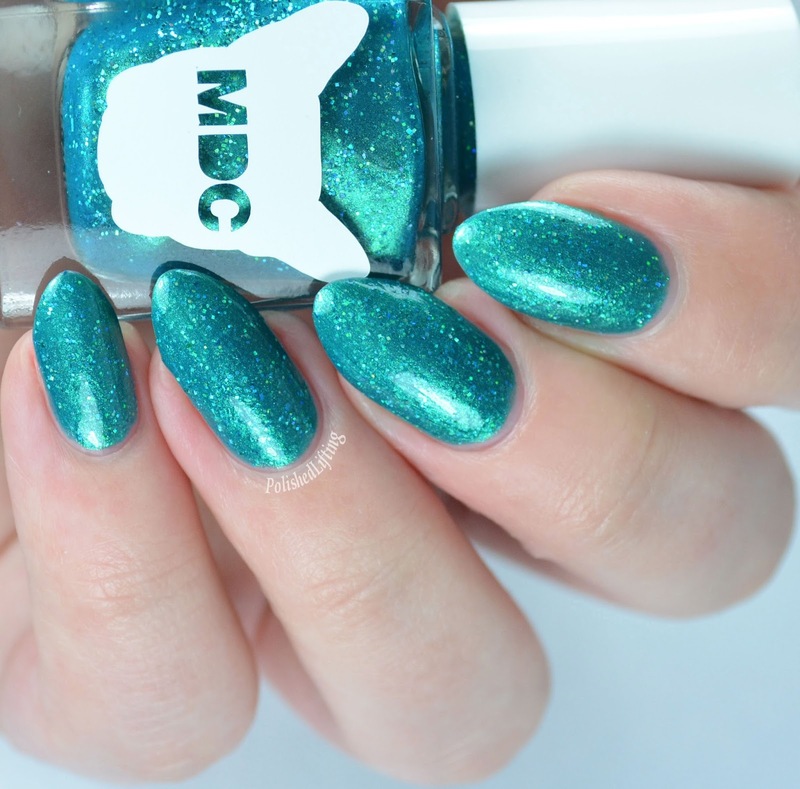 If you can find this color in a destash I recommend snatching it up immediately. You aren't going to find another one like it. 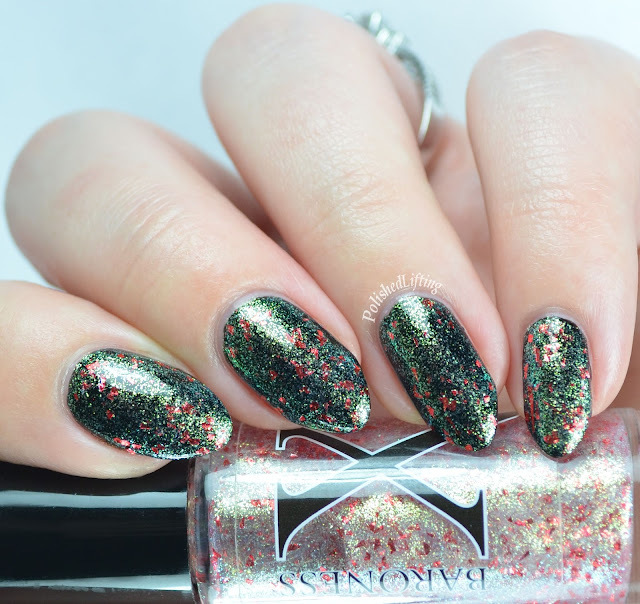 What would a Christmas mani be without Zoya Oswin. I think it's a good representation of everything wonderful this time of year. 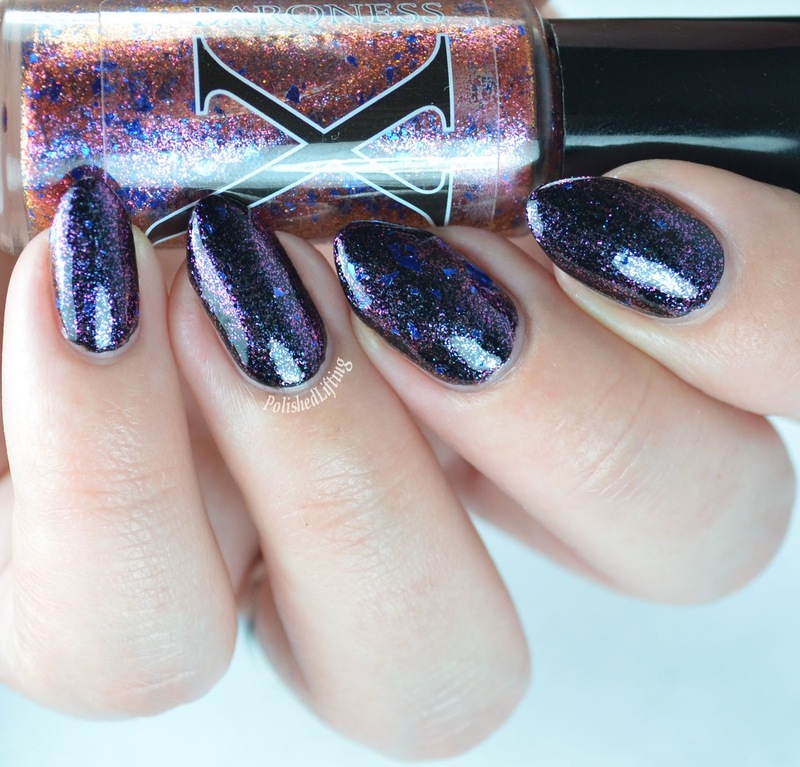 It's warm, rich, and super sparkly! This is not my final Christmas manicure, but it's my absolute favorite so far. Start with a good peel off base coat. I used my own watered down Elmer's glue, but you can use whatever you prefer. Next, apply two coats of Owsin to all nails but your ring finger. On your ring finger you will need three coats of Firecracker Lacquer Hoarfrost. Once that dries you can create a gradient stamp using Sally Hansen Insta-Dri in Wined Up, and Revlon Rain Forest. 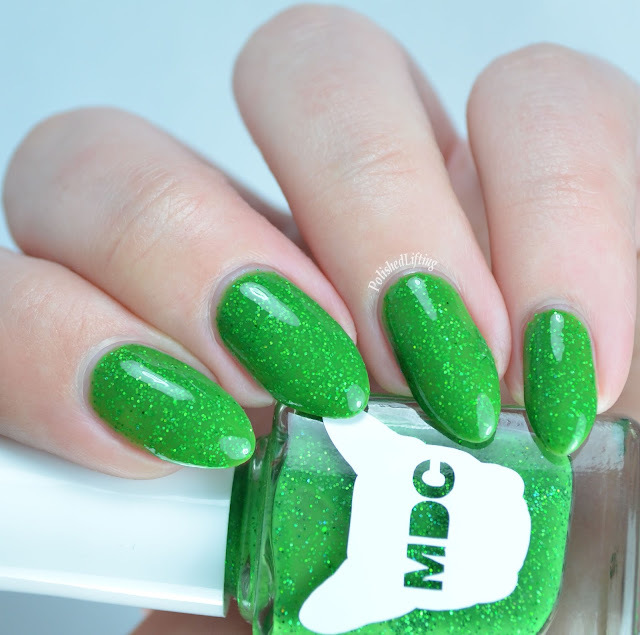 Top your finger with a clear coat and you are good to go! What are you going to do for holiday nails this year? I am a liar. 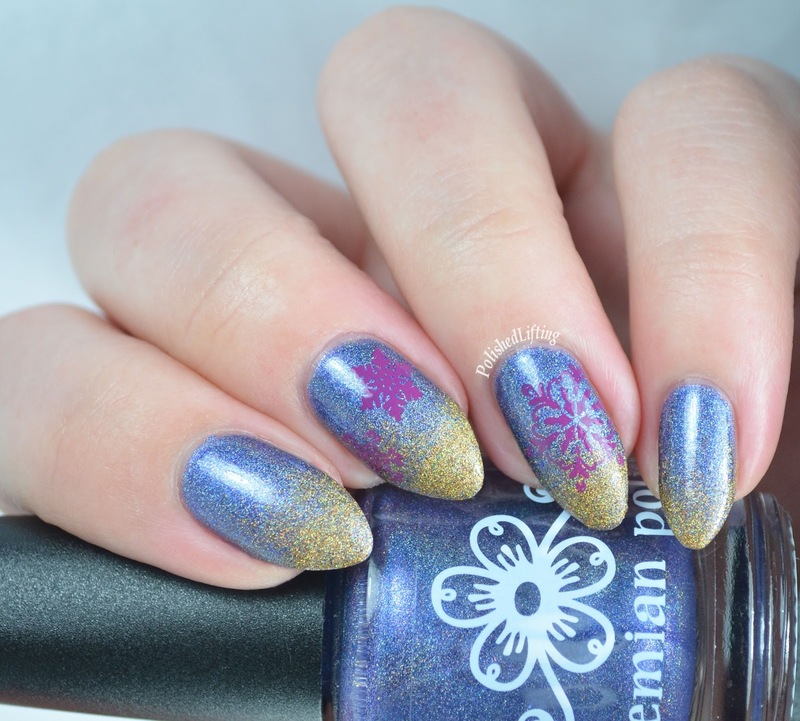 Just last week I said I didn't have any additional snowflake manis lined up. Well... I totally forgot I had this draft queued up in Blogger. It's a pretty mani using two new Bohemian Polish colors, so you will have to reserve your disdain for when I post something hideous. I started with a base of Twilight, sponged a gradient over the top using Lake Placid Gold, and then stamped over it with Sally Hansen Insta-Dri. 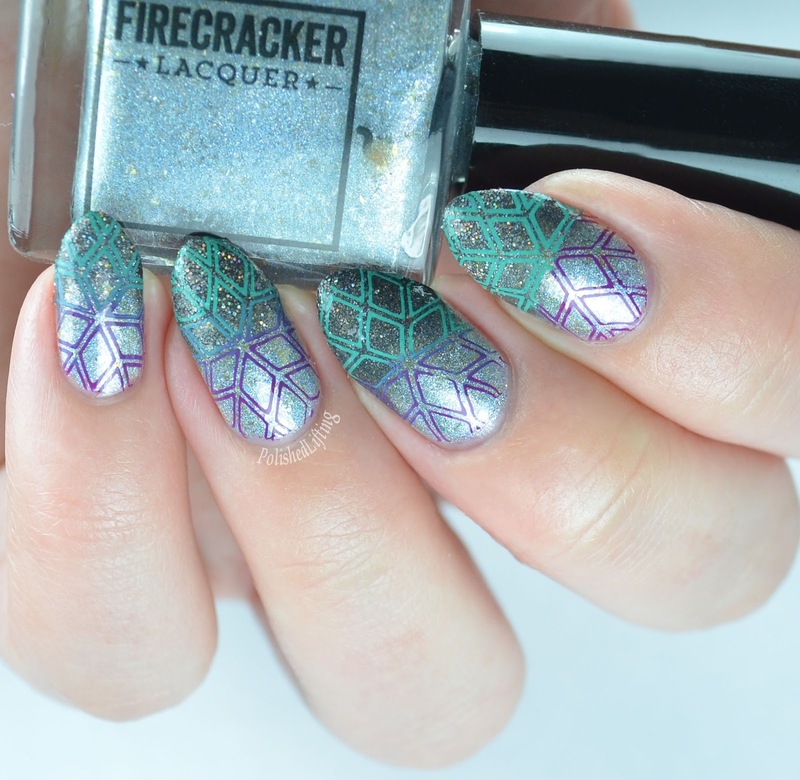 These gradient + stamping manis are becoming a favorite of mine. 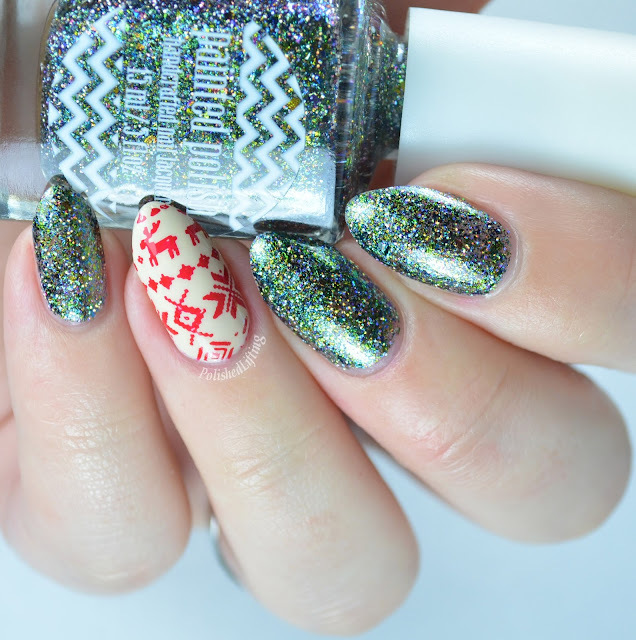 I wanted to do some funky Christmas sweater nail art, so I consulted a few of my favorite brands. 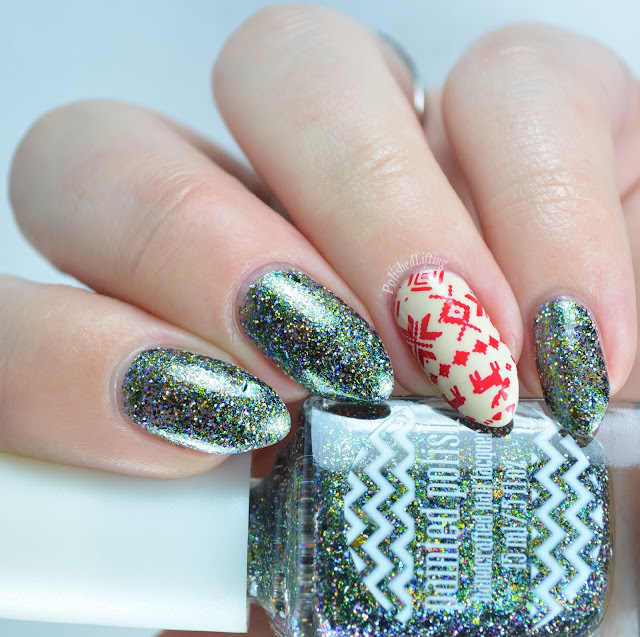 I can't decide if they qualify as ugly sweater nails or super fab sweater nails. Regardless, I think I like them. I started with two coats of both Painted Polish Enchantress and two coats of Zoya Jacqueline. Once the Zoya dried I stamped over it using Sally Hansen Insta-Dri in Rapid Red. I sealed it all off with Bohemian Polish Flash Dry. What do you think? Are they ugly? Cute? Somewhere in between? Leave me a comment and let me know! 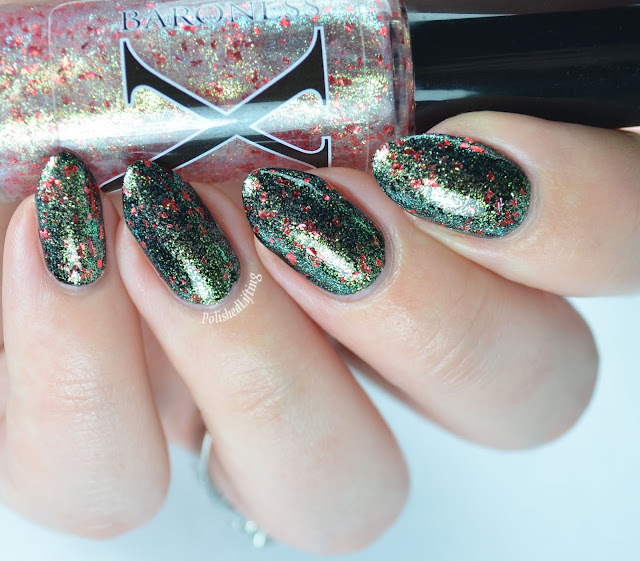 Pahlish is one of those brands that always seems to have a sneaky flakie, shimmer or glitter that is nearly impossible to capture on camera. I thought Black Licorice Bats was going to be a pretty purple leaning charcoal holo, but I had no idea that it had sneaky flashes of purple glitter hidden within the holo. Those extra "surprises" are one of the things that make me return to a brand. Notes: This one is far prettier in person than it is in any internet photo. Black Licorice Bats is no longer available, but there are a handful of other gorgeous colors in her shop that you guys need. Go check them out, and let Shannon know I sent you! Baroness X is the queen of rainbows. 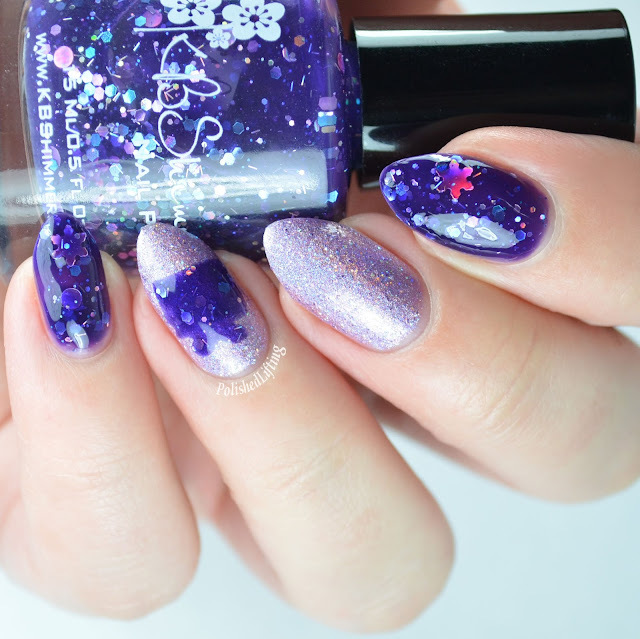 From jellies to shifty glitter toppers, I don't think anyone can compare to the range of colors she creates. 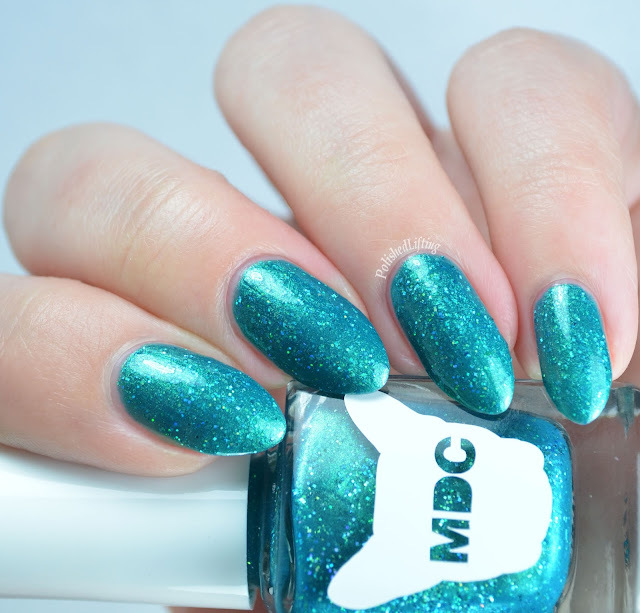 Today I have the second installment of the Dreamscape collection, and a swatch of Mele Kalikimaka. Notes: My only regret is not swatching this over blue or maybe purple. I think it would take on a whole different appearance. Notes: Blue to purple shifty goodness means this is my absolute favorite. Notes: This color is absolutely phenomenal, but it was a tricky trickster to capture on camera. There's way more shift going on than my photos would suggest. Notes: Ok, maybe I have two favorites. This one shifts between all of the colors I love. Notes: This makes me think of vintage Christmas ornaments. It's fun and festive without being stereotypical. Mele Kalikimaka is currently available for sale, and the Dreamscape Collection part two will be available by preorder on December 20th at 8pm edt. The preorders will ship on January 4th. If you want to get reminders on restocks, and new releases be sure to hop on Facebook and join the Baroness X fan group. After my recent Bliss Polish haul I knew I needed to put some of my new colors to use. I would like to title this mani Smuggle Struggle For the Win. The colors work so well together, and the names even suggest it too. This isn't any old post haul mani. It's a twin mani with the lovely @paintedbyjess. If you don't know her, you might be living under a rock. 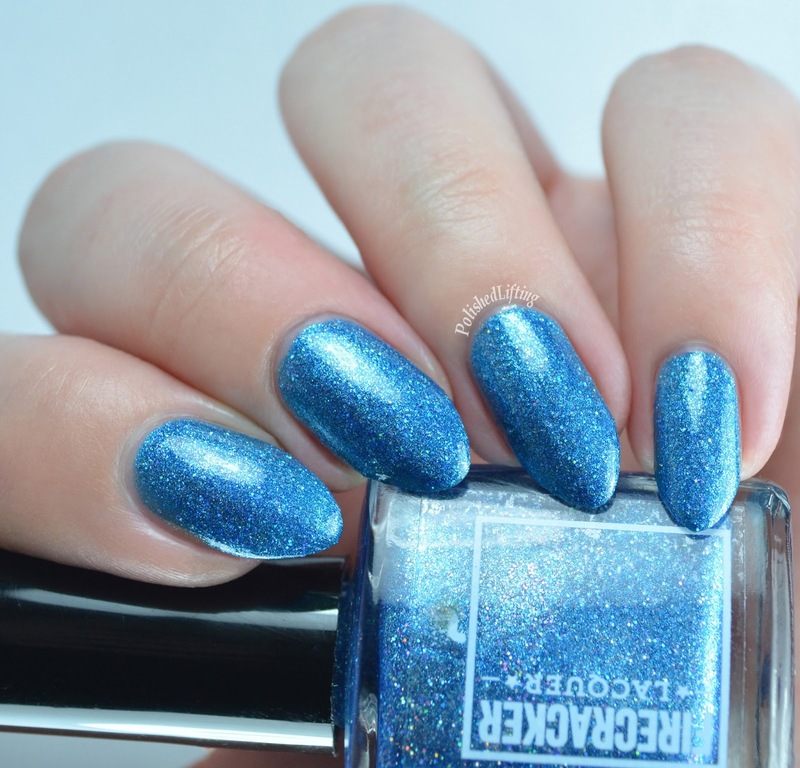 Her swatches are absolutely gorgeous, so go follow her now if you aren't already doing so. Aren't these colors just to die for?! I knew Smuggle Struggle was pretty, but I had no idea it contained teeny, tiny bar glitters. 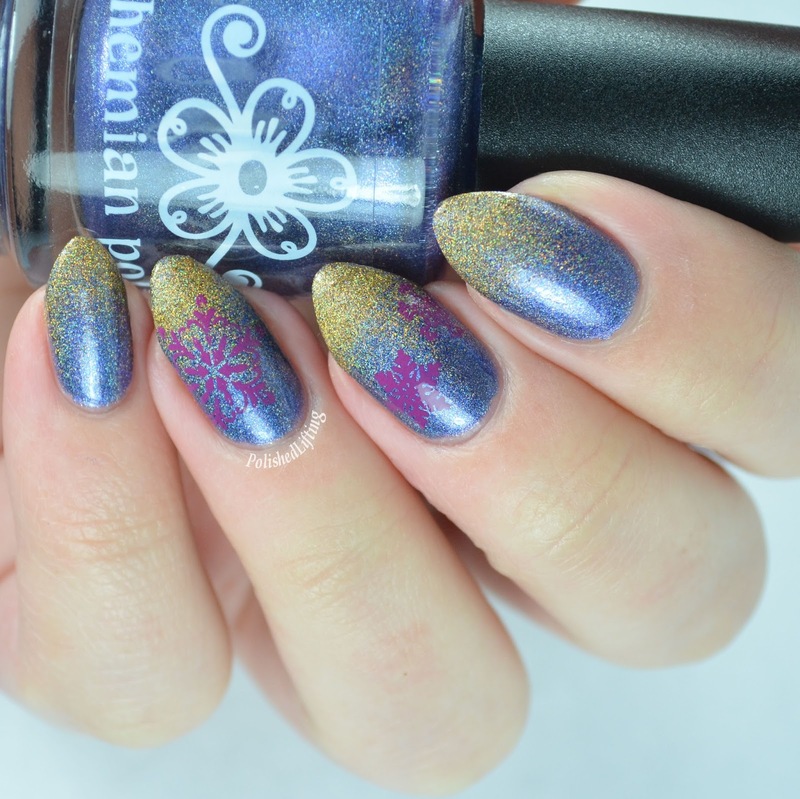 For the Win has a purple shimmer and gold to silver shifting flakies. 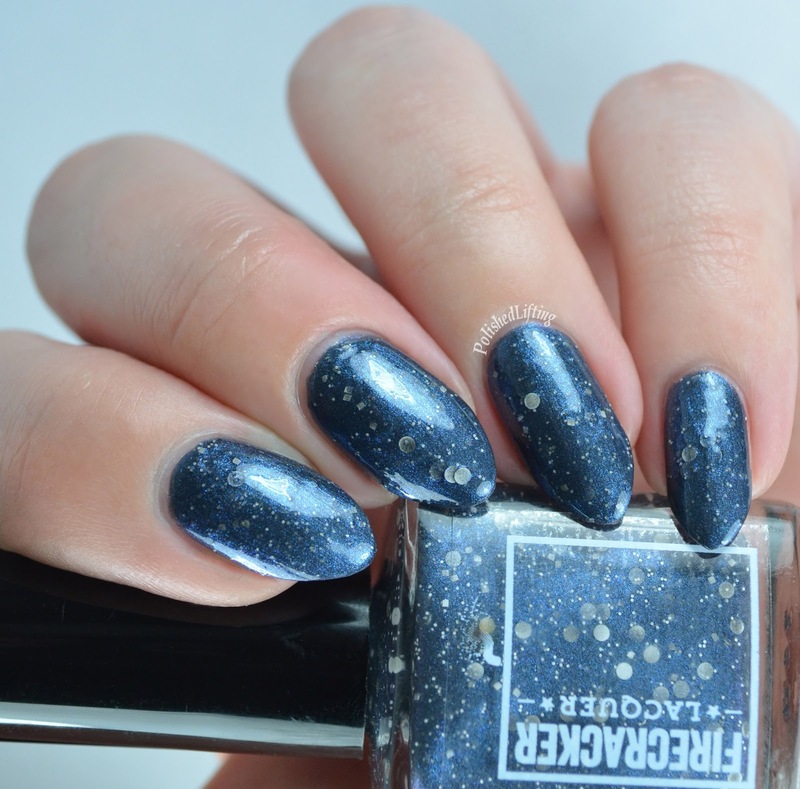 You can't really see them in this mani, so you will have to trust me that they exist. Bliss Polish is not currently open, but she will reopen some time in January. Check her out across social media for updates. 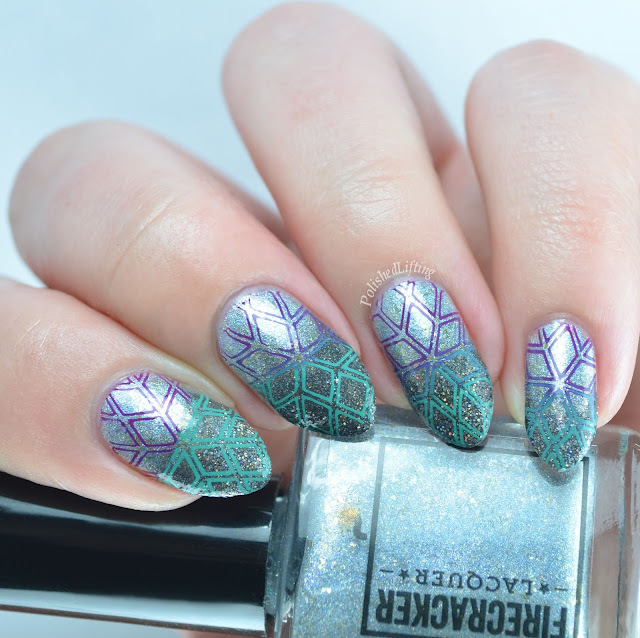 Sorry, not sorry for another snowflake mani. At least this time they are a bit more retro and not quite the same as my previous posts. 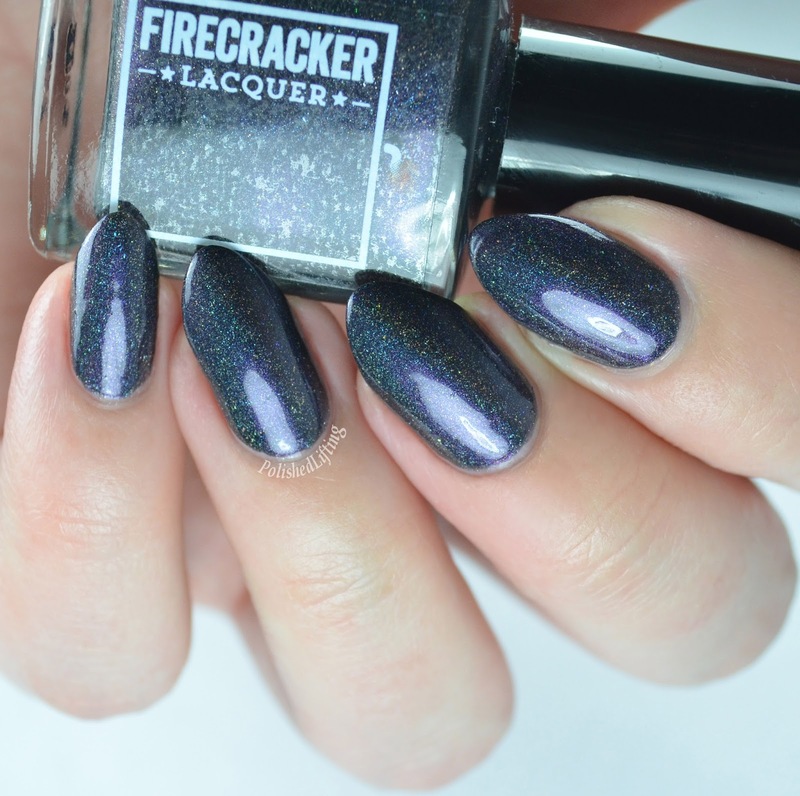 Two of the colors I used are a sneak peek of Firecracker Lacquer's The North Remembers collection. 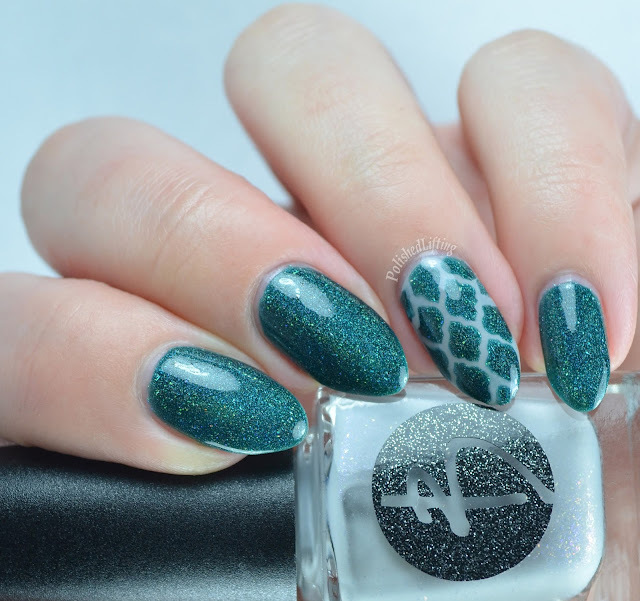 This mani is fairly simple as long as you do it in the right order. I started with two coats of Firecracker Lacquer Caution: Winter Ahead, and topped it with a think layer of Glisten & Glow HK Girl. Once that had time to dry I sponged on a gradient using Caution: Winter Ahead, and Don't Be So Dire, Wolf. A few minutes later I created a gradient stamp using The Grape Beyond, and Sally Hansen Insta-Dri Mint Sprint. I topped it all off with a generous layer of HK Girl. I would promise to lay off the snowflakes, but I'm not a liar. We will see where the coming weeks take us. So far, I don't have another snowflake mani lined up. What are your favorite colors to create a gradient with? Do you prefer cremes? Something sparkly? Leave me a comment below!